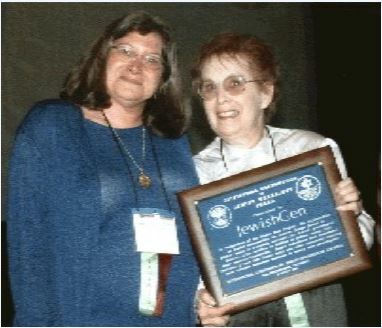 Annually since 1998, the International Association of Jewish Genealogical Societies (IAJGS) has issued achievement awards to recognize outstanding individual and organizational contributions to Jewish Genealogy. 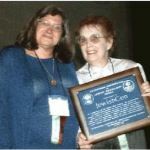 Potential awardees are nominated by one or many of the more than 70 IAJGS member societies, and determined by a committee appointed by the IAJGS Board of Directors. This year’s committee consisted of Ellen Shindelman, Past President of the JGS of Greater Washington, Howard Margol, Past President of the IAJGS, and Daniel Schlyter, IAJGS Board Member. 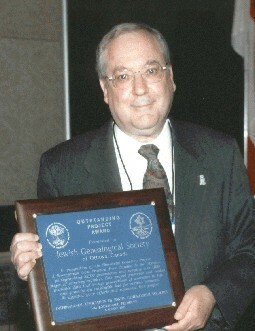 The awards were presented by Howard Margol during the banquet held in conjunction with the 22nd IAJGS International Conference on Jewish Genealogy, Toronto, Canada, 8 August 2002. 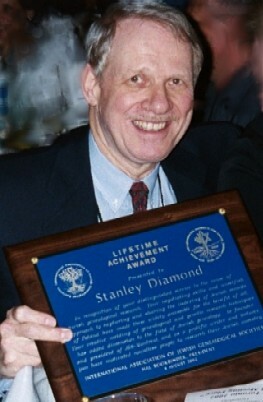 In well-deserved recognition of his distinguished service and outstanding work in the cause of Jewish genealogical research. Stanley’s negotiation skills and unselfish approach to capturing and sharing the indexing of the Jewish records of Poland have made this resource widely accessible for the benefit of all. He has added new dimensions to the field of Jewish genealogy through his creative melding of genealogical and genetic research techniques to identify relatives carrying the genetic disease, Beta-Thalessemia. As founder and president of JGS-Montreal, and as a writer and lecturer, he has encouraged and motivated countless people to research their Jewish ancestry. In recognition for the exceptional contributions and extensive effort on the part of its officers and many volunteer translators on the Yizkor Book Project. These efforts are making these useful books and the valuable information they contain accessible to members of the Jewish community who do not have the linguistic skills to use them directly, thus enabling genealogists and others to learn more about their heritage. was accepted by Susan King, president of JewishGen, Inc., and Joyce Field, Yizkor book project manager. In recognition of their quarterly publication, ROOTS-KEY. The quality and scope of its articles demonstrate highest standards of content as well as a professional level of presentation and editing. Using a clean and uncluttered format, ROOTS-KEY provides numerous original scholarly research articles in each issue and a wide array of news items on worldwide Jewish genealogical activities and resources. 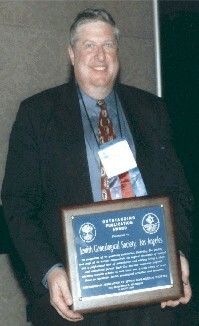 Hal Bookbinder, president of the IAJGS and a board member of the JGS of Los Angeles, accepted the Outstanding Publication Award on behalf of JGSLA. In appreciation and in recognition of their Chernivtsi Cemetery Project. In its first phase, over 20,100 gravestone have photographed. Plans are set to complete the photographing (another 35,000 gravestones) during 2002. The intent is to database the information so that names and photos may be accessed on the Web. This project demonstrates great compassion, patience and perseverance. The efforts of JGS Ottawa are making data available that can bring the world of previous generations back to life and provide an invaluable tool to serious research. 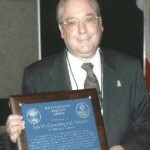 Hymie Reichstein, president of the JGS of Ottawa, Canada accepted the Outstanding Project Award.